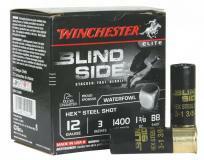 Winchester Ammunition launches the most innovative waterfowl load in history. 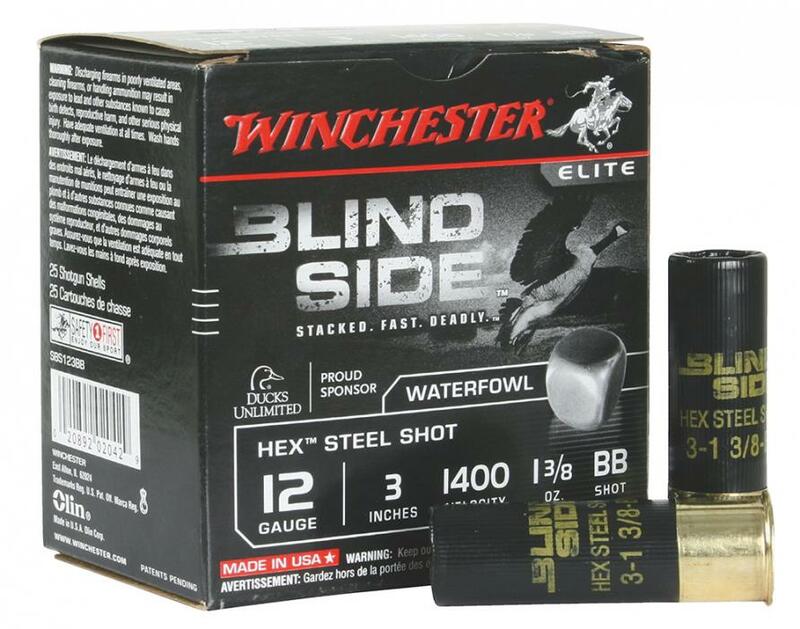 Blind Side, loaded with HEX shot and backed with a diamond cut wad, is designed to hit waterfowl like high-velocity tumbling bricks. 25 rounds per box.